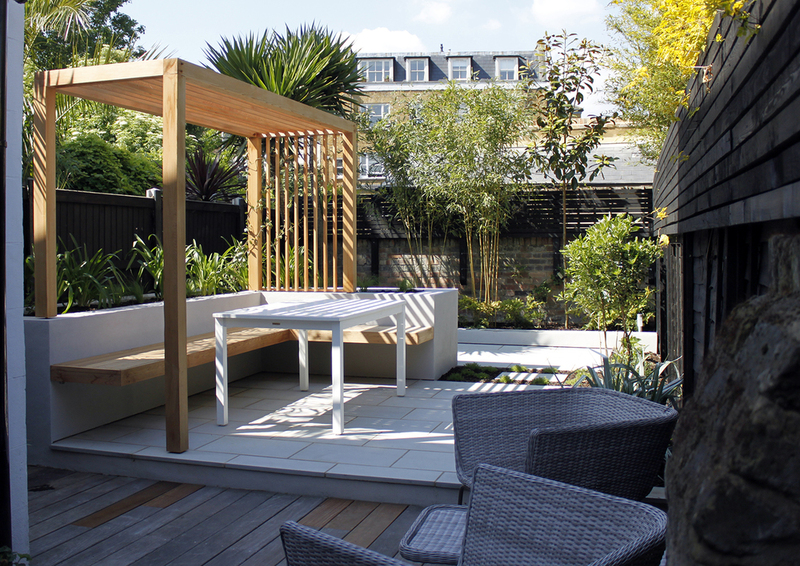 This chic courtyard garden was created for a young family in Bow, London. 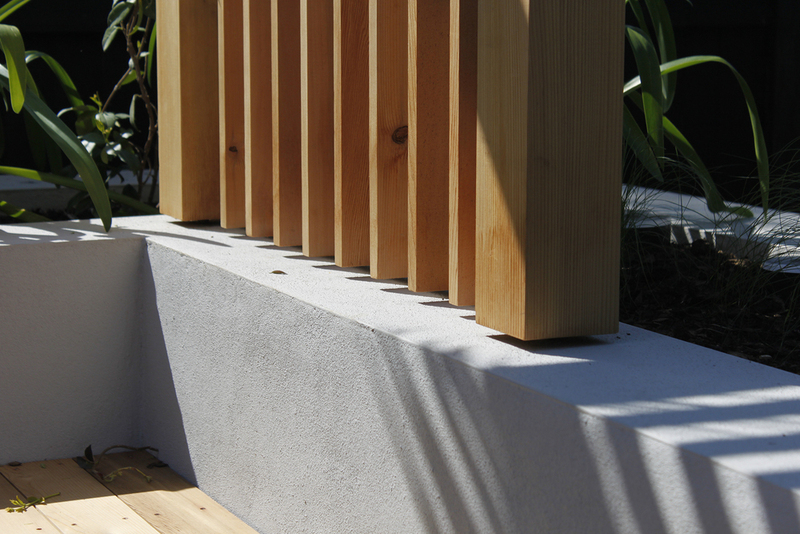 The existing space felt small and dated and we were asked to design a contemporary garden that would reflect the interior style of the property and have a focus on family life, entertaining and socialising. 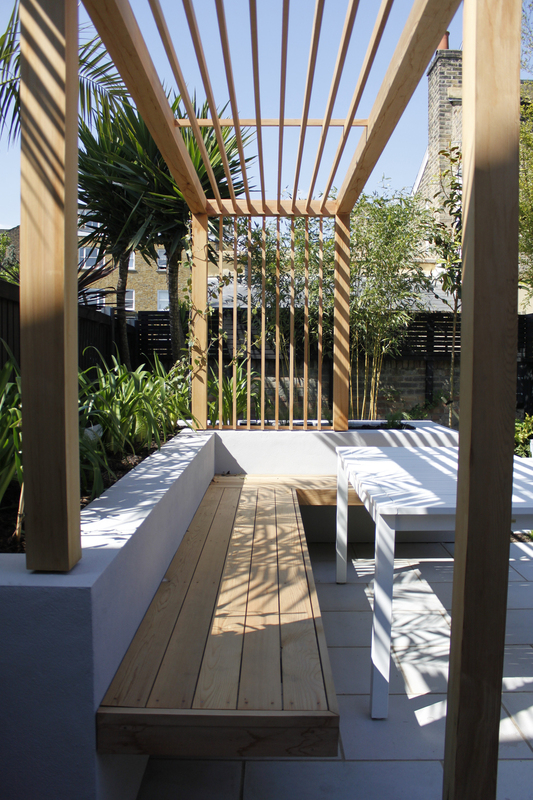 A bespoke Western Red Cedar pergola was designed to create a strong focal point in the garden. 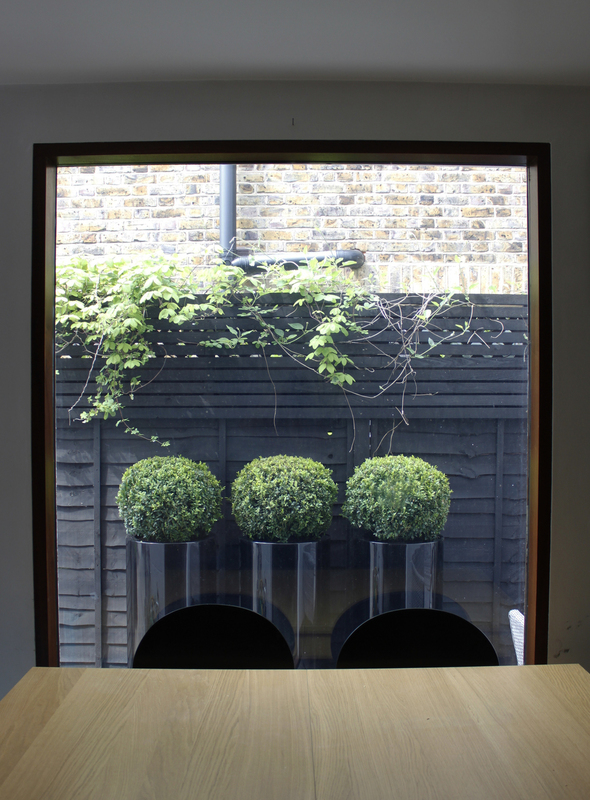 This provides dappled shade for outside dining and a sense of privacy in the urban surroundings. 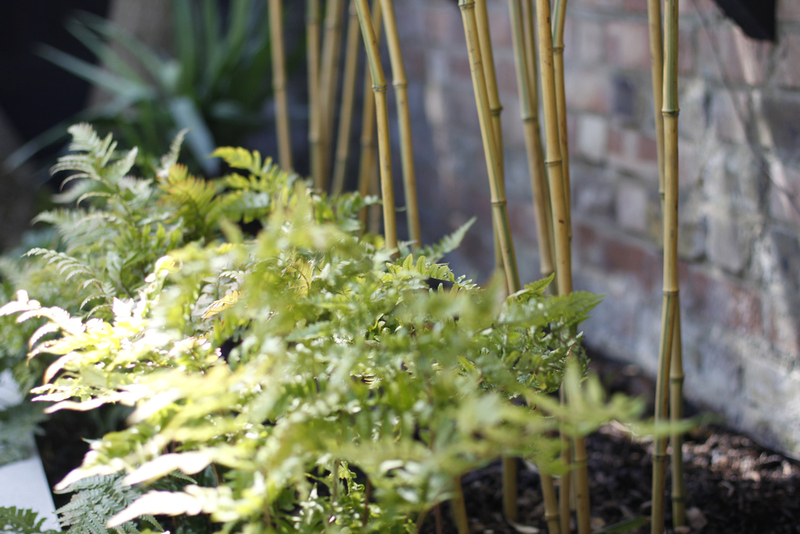 Clean lines are softened by planting with a focus on textural contrast and evergreen forms for year round interest while a mini chamomile lawn creates the ideal space for baby to interact with the new garden.